How do I add the fields of Size Code and Alteration in Model Editor? I found the answer in another post, but when using the search filed, no result came up: "model editor alteration"
Hi Margit! See attached image below. I added this information to the AccuPlan What's New V-11. Not sure where it can be found in AM documentation. @margitaarset, here is this topic already. We will be making this a choice in the model editor in one of our upcoming releases so it will be easier for all that want to use it. Altered Sizes in Measure Charts Altered Sizes can be viewed in Measure Charts. The Alteration and Size Code table must be defined in the Model to see the altered sizes in the Measure Chart. 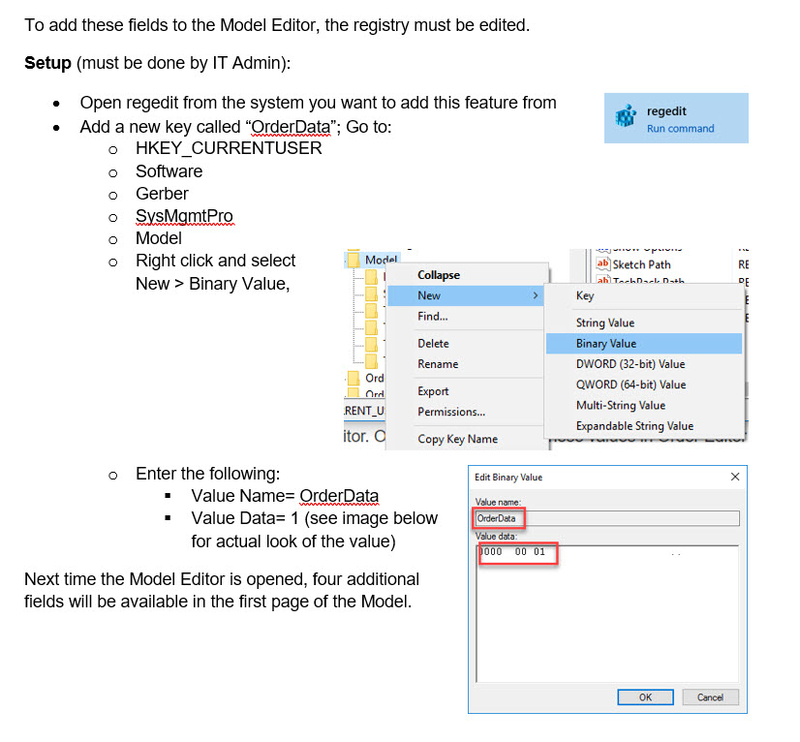 To add these fields to the Model Editor, the registry must be edited. Add a new key called “OrderData” to HKEY_CURRENT _USER/Software/Gerber/SysMgmtPro/Model. The value of this key should be “1”. Next time the Model Editor is opened, fields will be available in the first page of the Model for the Lay Limits, Block/Buffer, Alteration, and Size Code. @margitaarset. Thanks for adding your search terms to the answer here. That helps provide keywords that you and others can search for going forward.